This weekend was very exciting as well as exhausting. 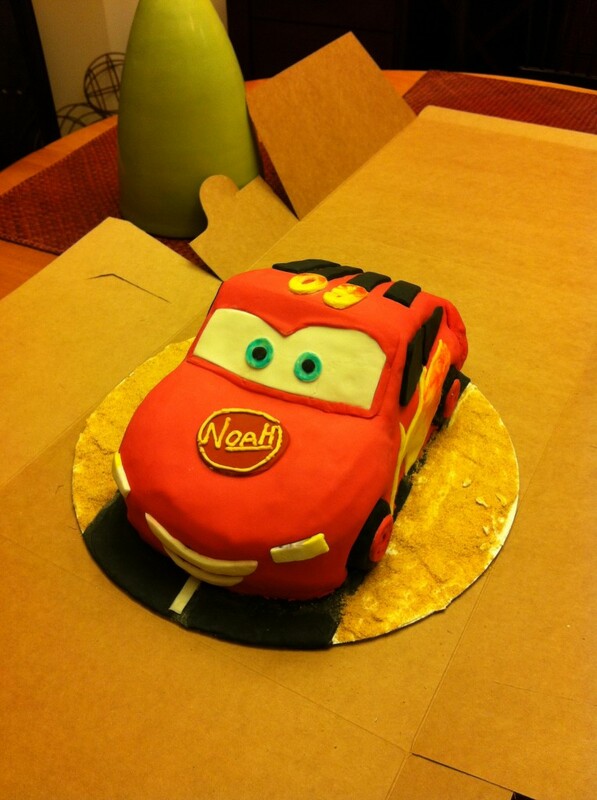 As I mentioned in my last post, I made a Lightning McQueen cake for a 3 year old’s birthday. This was 3 day process. I baked the cakes on Thursday, and then froze them. On Friday I applied the crumb coat and on Saturday applied all the designs and trims…all darn day. Well maybe not all day, but it sure felt like it. Let me just say that after being out of the cake making game for a few years, I was impressed with the finished product. There were times that I stood there stupefied completely puzzled at what to do next, but I pressed on. I can’t say I was 100% pleased with the finished product because I am my biggest critic and always see room for improvement, but the birthday boy loved it! While I was elbow deep in powdered sugar and food coloring the Mr. mentioned that there was going to be another cake at the party. Aye dios mio!! I instantly panicked. 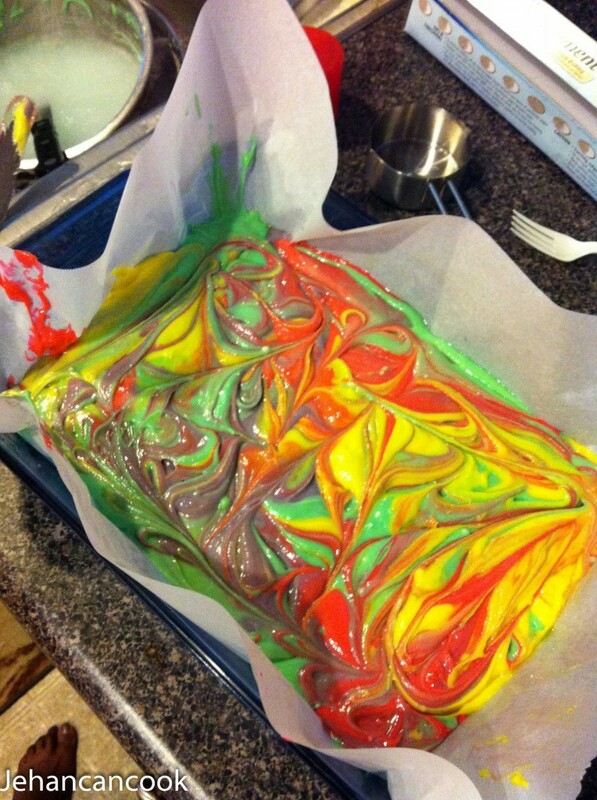 What if my cake looked like crappy crap crap compared to the other cake? What if it wasn’t as tasty? Nah, I KNEW my cake would taste better, that I didn’t doubt. When the cake was revealed, everyone was in awe. Not only did they love the look but they gobbled it right up. 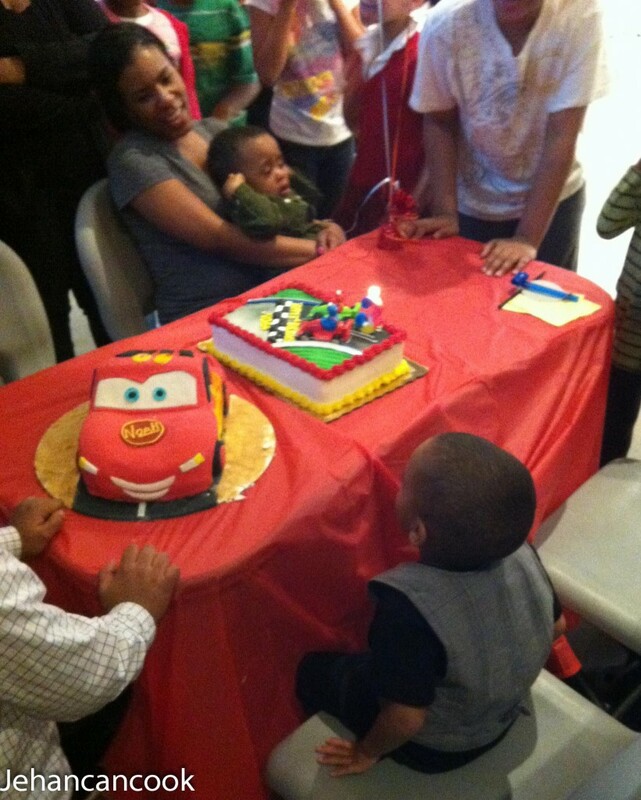 Oh and that other cake was pushed to the side because the kids all wanted my cake. Yay me! 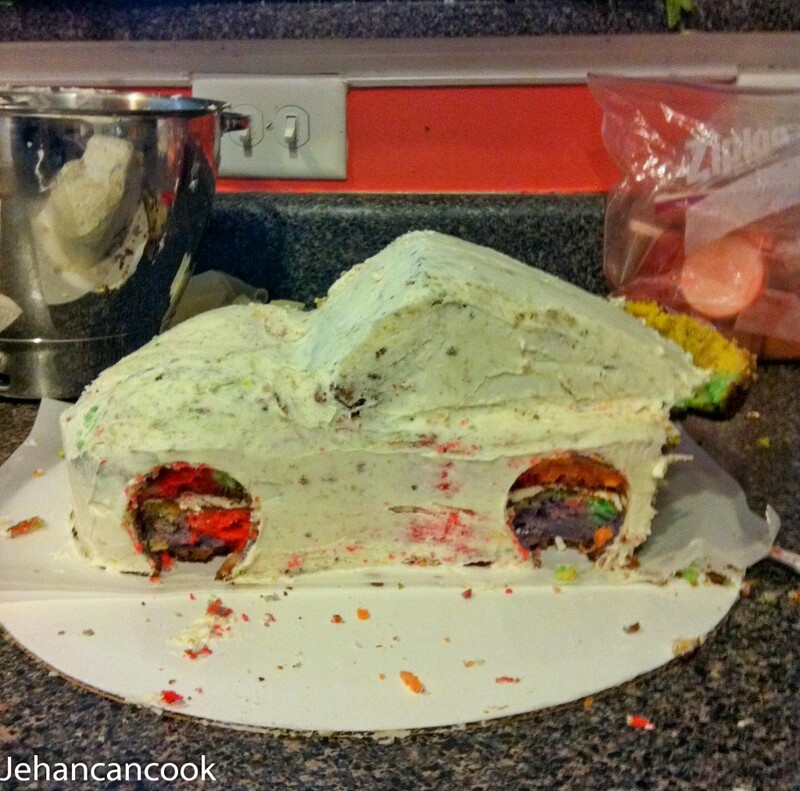 It was definitely a fun cake to make and I really enjoyed seeing the joy that it brought to the birthday boy. Mission was accomplished. Here are a few pics of the final product. Great job! That is beautiful!! !